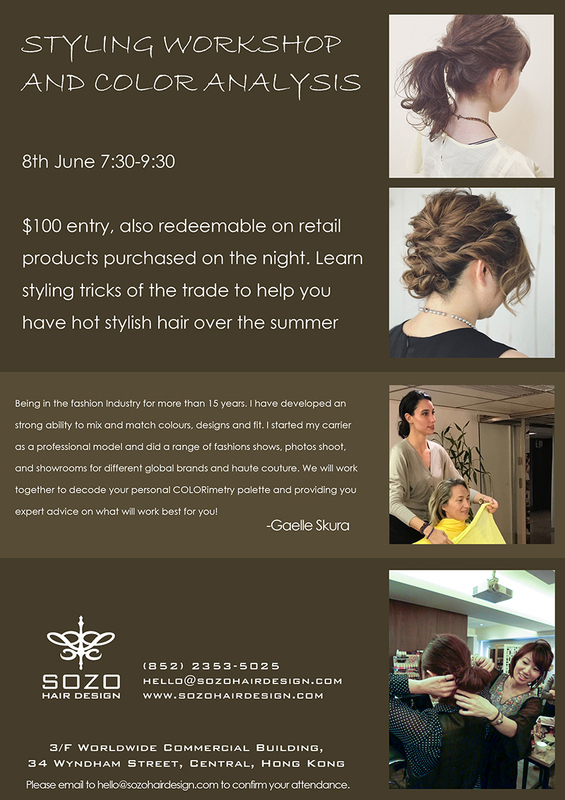 Styling & Color Analysis Workshop! June 8th, 2017 from 7:30-9:30. $100 entry, also redeemable on retail products purchased on the night. Learn styling tricks of the trade to help you have hot stylish hair over the summer.